The Gulf sturgeon (Acipenser oxyrinchus desotoi) is found in Alabama in river systems in the southern half of the state during its spawning season in late winter and early spring. Most of its life cycle, however, is spent in salt water. 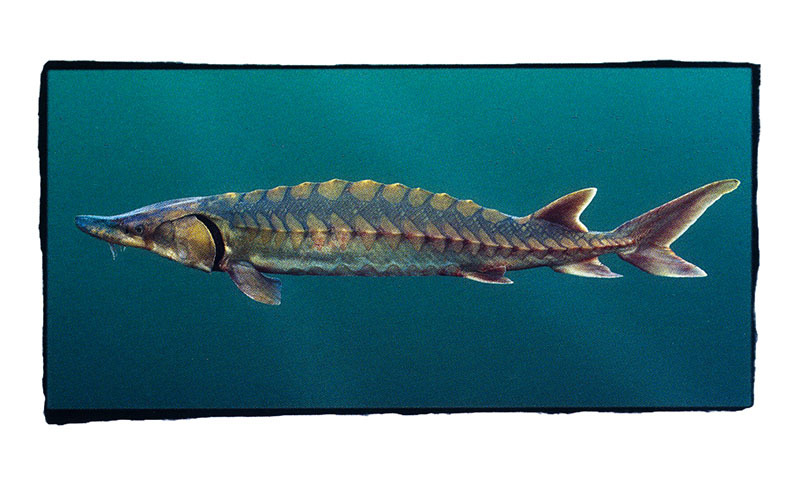 The Gulf sturgeon is listed as a threatened species because upstream spawning routes in many rivers have been blocked by high-lift locks and dams.